Takamoto’s design is the final artwork that sold the series to CBS. 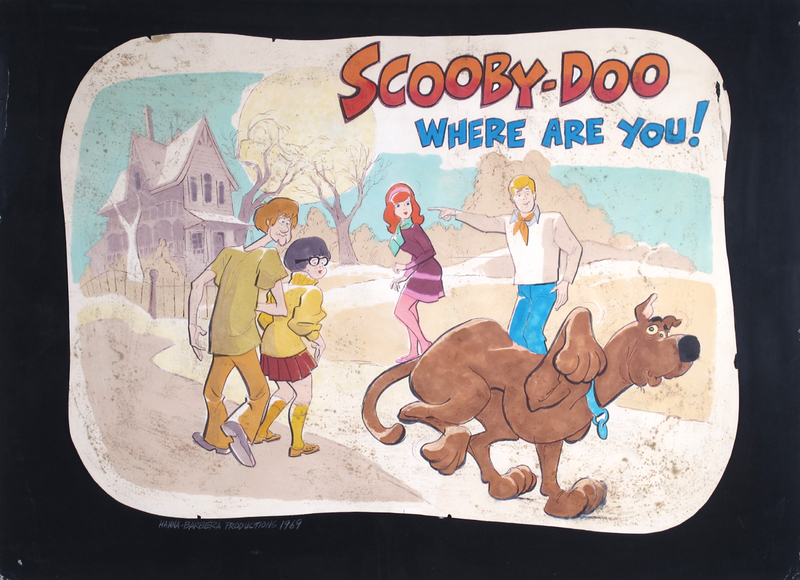 But where did the name Scooby-Doo originate? There is an oft-quoted story of CBS executive Fred Silverman having an epiphany while flying to a meeting. When listening to music on the airplane’s headset, Silverman heard Frank Sinatra sing the standard Strangers in the Night. Sinatra’s final line of “dooby-dooby-doo” gave Silverman the idea to name the dog Scooby-Doo and the rest is history.